I am not a morning person, but since Lucas was born, I’ve seen in the dawn on at least a dozen occasions. And every time it’s a thrill. (No, that’s not just the sleep deprivation making me say silly things.) 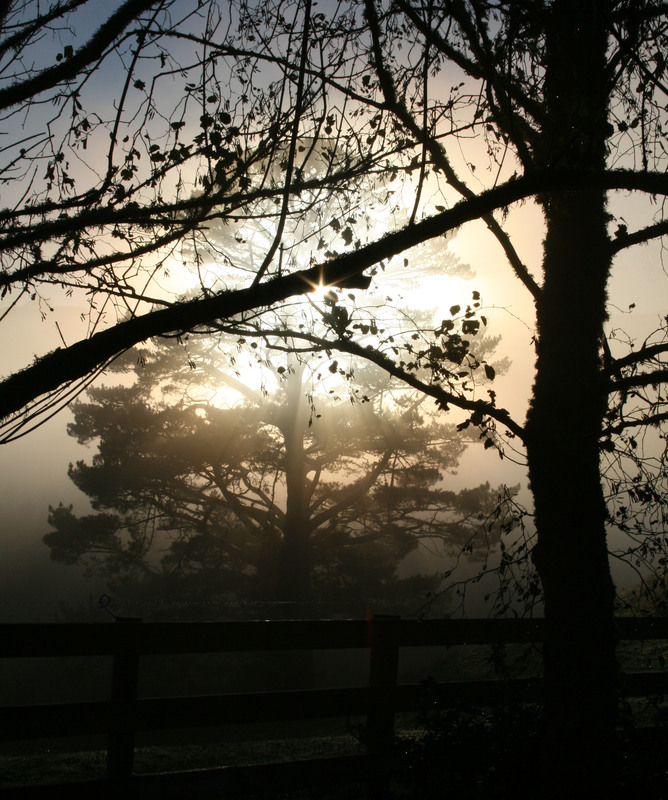 One of the simple pleasures of living on the peak of a hill is the way that, on clear winter mornings, the fog rolls in, slowly swallowing the valley, leaving only the trees around our lawn and the tips of the Hunua Ranges in the distance peeking out of the mist.